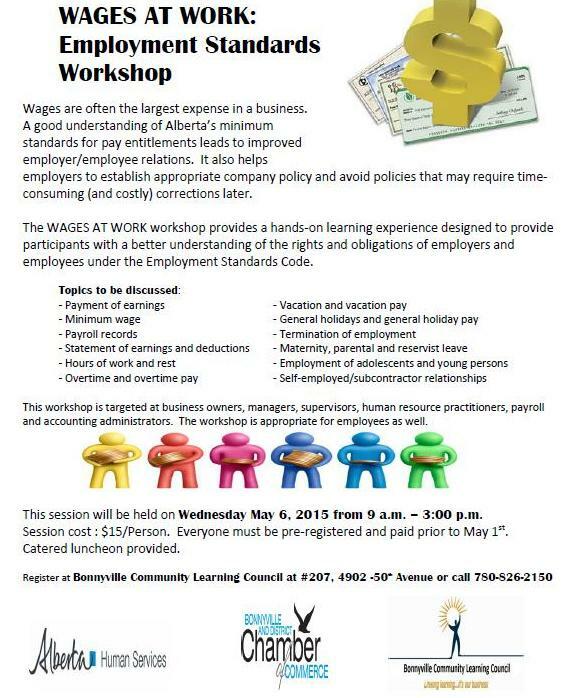 Register now for the Wages At W0rk: Employment Standards workshop by calling us at 780-826-2150. This one-day workshop runs on May 6, 2015, and will provide valuable information to employers and employees on topics such as payment of earnings, payroll, overtime, holiday pay and leave of absences. 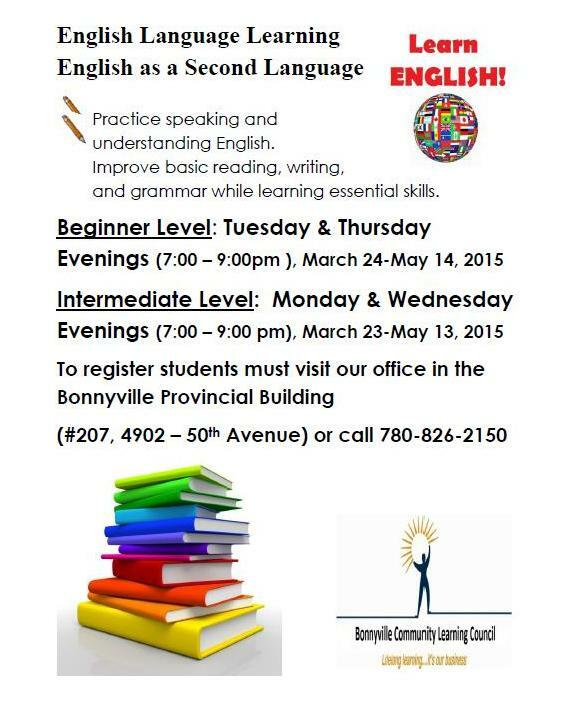 The Bonnyville Community Learning Council is pleased to offer English Language Learning at both Beginner and Intermediate Levels. Classes will run from March 23-May 13, 2015 for Beginner and March 24-May 14, 2015 for Intermediate. Please come by our office in the Bonnyville Provincial Building to register. 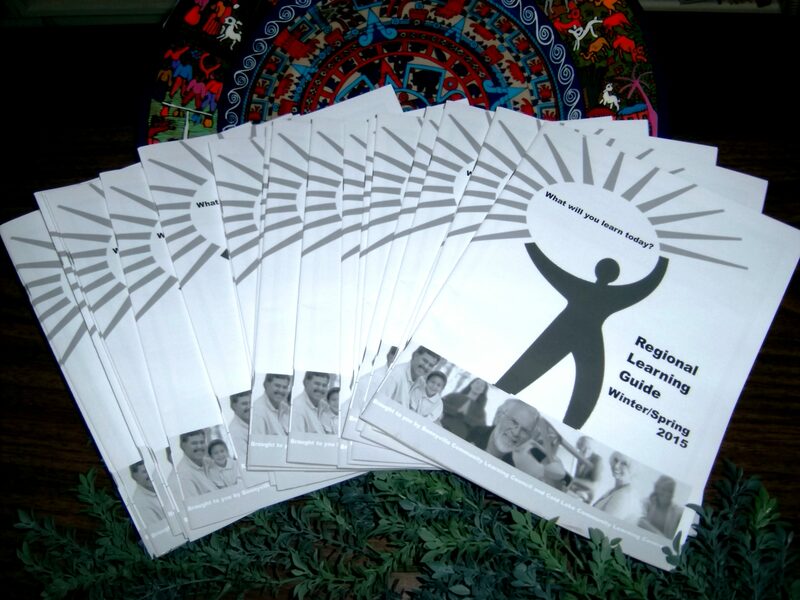 The Winter/Spring 2015 Regional Learning Guide is a great resource for courses, community groups, and agencies across the Lakeland. If you need an extra copy, stop by our office on the second floor of the Bonnyville Provincial Building or pick one up from public centres around our community.